The last time I ordered and drank a Shamrock Shake I got sick. As in I drank it, went home, and was doubled over sick for over an hour. That was a few years ago, and I still vividly remember it. So much sugar, so many carbs, tons of calories. 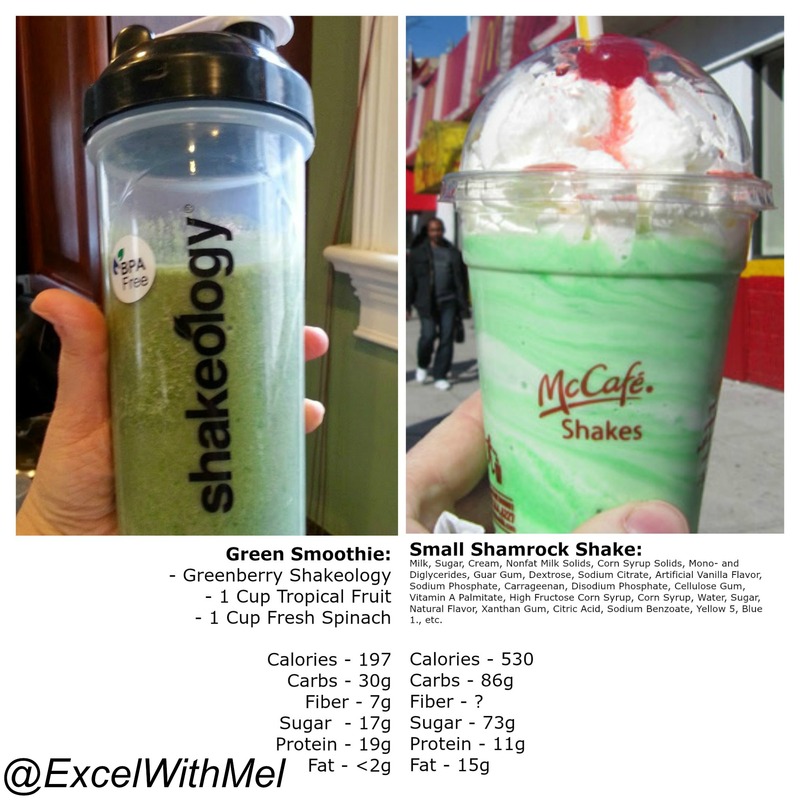 I put a side by side comparison of my post-workout shake today vs. as SMALL Shamrock Shake, and something tells me the Large gets ordered a lot more often than the Small. Next time you consider ordering something like this, hopefully you’ll remember that you’re not doing yourself any favors. Then contact me for a true meal-replacement shake that will fuel your body with the proper nutrients and vitamins, with far fewer calories, fat, sugar, and carbs.